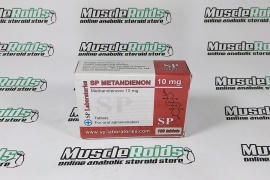 Methandienone 12mg 100 tabs is an oral anabolic having a great impact on the protein metabolic process. 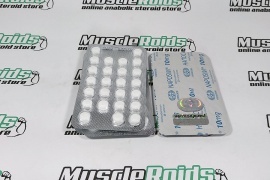 It possesses both anabolic and androgenic characteristics, so its users observe a sufficient increase in strength and muscles. 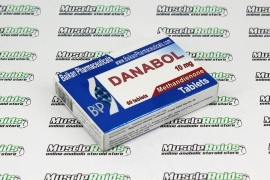 Its chemical name is Methandienone or Methandrostenolone there exist other pharmaceutical names of the drug, for example, Danabol. Methandienone plays a role in protein synthesis that produces a positive nitrogen balance in the body. The time of Methandienone activity is just 4-4,5 hrs, so it ought to be taken two times each day in order to have the sufficient power of it in the bloodstream. 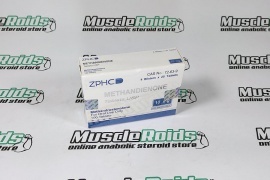 Methandienone is considered to become a highly efficient mass building steroid ever created. 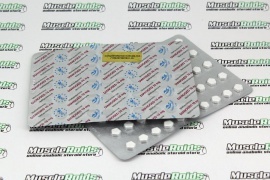 This drug was created to be able to permit the bodybuilders to enhance endurance. Many users observed a rather impressive strength and mass gains. It's not something incredible to possess a 2-3 kg weekly mass gain, mainly for novices.